I`m Sabrina Mielke (born Brödner) was born in May 1980 at Königs-Wusterhausen nearby Berlin. Already at school and from my parents were my manual skills mediated. My professional career was the training to an boatbuilder and later to an social worker. Long time I worked as head of an handicraft and social area and also in the addiction help. I lived at the outskirts from Berlin, close to the forest and water, so the interest to nature has been placed in my cot. Despite beautiful surroundings I was drawn out into the world. So I decided with 20 years to travel around the world, these inter alia me to Canada, Australia and New Zealand. In the following years, I was drawn often too Canada and Scandinavia. From these trips brought I allot of Pictures and inspirations. 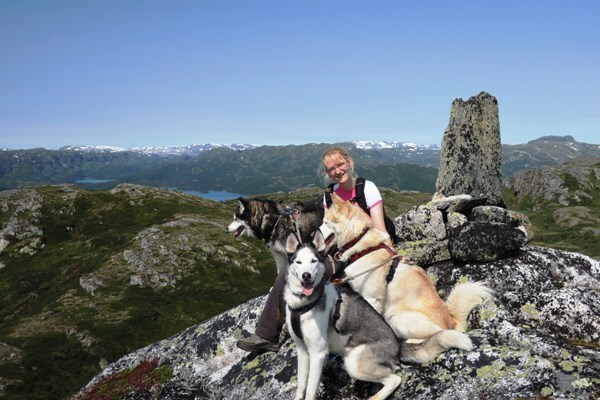 Meanwhile I work and life in Hovden i Setesdal Norway, with my husbend and four Siberian Huskies. My collection of drawings consists of very different techniques and motives. However, always with oil paint, because these can be processed very versatile. From impasto to thin liquid and fromcovering to transparent. In addition, have oil paints a unique brilliance and color intensity. They are lightfast and because from the varnish, even after years handsome. Currently I deal priority in the impressionist and expressionist painting. But also love too paint crazy, chaotic comics. Mostly the idea of a picture arises spontaneously.